How much is Glenn Beck Worth? 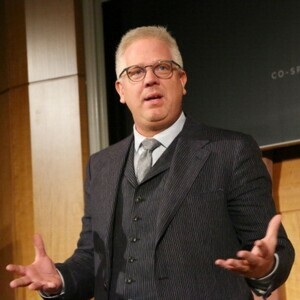 Glenn Beck Net Worth: Glenn Beck is an American television and radio host, political commentator, author, television network producer, media personality and entrepreneur who has a net worth of $250 million. 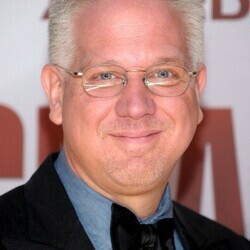 Glenn Beck was born February 10, 1964 in Everett, Washington. Glenn Beck rose to become a nationally syndicated television and radio host thanks to his knack for creating controversy. At the age of 13, Beck landed his first radio job when one of the local AM stations put on a contest for a guest DJ and Beck easily won the gig. Two years later Beck applied for a DJ job at a new Seattle FM station, hired without ever meeting with his new bosses face-to-face. Management was taken aback by their new employee's youth, but they liked his polished audition tape and stuck to their decision. After high school, Beck moved to New York City to pursue his dream of being a big city radio personality. Over the next decade, Beck zigzagged across the country, honing his skills as a radio personality in cities of Seattle, Louisville, Washington D.C., Phoenix and Houston. By the age of 21, Beck was commanding a salary of $70,000. Unfortunately, with the money came a change in ego and with the semi-celebrity status came addictions—combined with a series of failed morning programs with big ratings expectations—and in no time turned him into a near has-been in the radio industry. Beck's radio program reached No. 1 following his coverage of the controversy of the Presidential election of 2000. In the wake of the 9/11 terrorist attacks, Beck was offered a syndicated afternoon show. 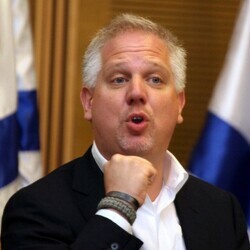 By 2004, Beck was broadcasting The Glenn Beck Program on 150 stations. Two years later, the Glenn Beck brand reached even greater heights when CNN hired him as one of the stars of the recently revamped Headline News. CNN's new man didn't disappoint, earning ratings that were second only to Nancy Grace. In October 2008, Glenn Beck was on the move again when he announced he was leaving CNN for a new job at FOX. 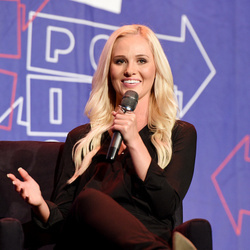 He left FOX in 2011 to launch his own media outlet TheBlaze. Beck is also the author of several books, including six New York Times bestsellers. How Much Does Glenn Beck Make?